A solid keyword research and On-site optimization has been the main motive of SEO, but Google works on algorithms, which are mainly about the links you put. Thus, the link building practice is necessary to ace for being successful and gain value. A great content is just not enough to get the traffic at your site. One needs to do ‘internal linking’ so that readers get full information, stay longer on site and ultimately provide you high traffic. Internal linking is one of the important aspects of SEO strategy If used carefully and strategically it helps massively to build a content appealing and informative to the users. Let us look in detail what is it and how it helps. In a layman’s language, one can say internal linking is providing internal links on a page which direct you to the other page or content. The domain of the content and the connected link is the same. People overlook its importance very often, though it is important more than it is thought. The algorithm of Google works in such a way that pages on the larger site often rank higher than the smaller sites. We will see the advantages and the benefit it provides in the article ahead. We often find Facebook page directing us towards a number of sites, this is the example of external linking. Internal linking is directing the reader from one content to other on the same site. In the case of external linking, you are taking help of some famous content/page for diverting the audiences, whereas in internal linking you indirectly give importance and advantage to your own content. The best content of yours can be used to strategically place the internal link and divert traffic to the content with a lower rating. The main motive is to keep the viewer hooked on the same site for long. How to Leverage Internal Linking? While studying a difficult topic at school, we have referred many books and made notes at each paragraph. A well-researched topic would be full of ticks and sticky notes all over if someone has a look at he could easily make out that you have put a lot of work in it. On a similar logic, if you think your page and content to be important, it is necessary to put up several navigational links. It makes search engine realize it is important and thus helping it to rank better and be more visible on the top pages. There are several other reasons why it is important, let us have a look why. 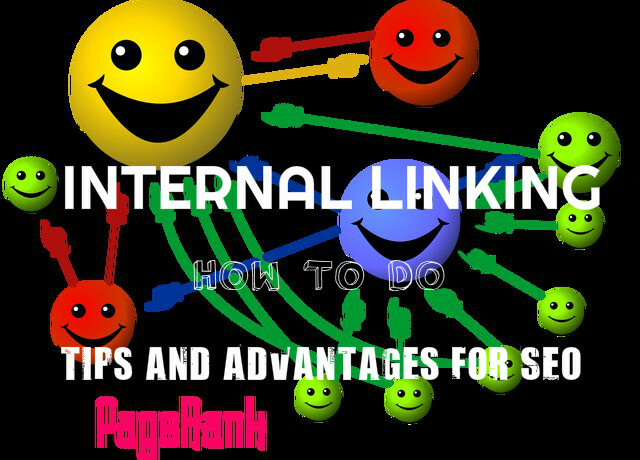 Why is Internal Linking Important to SEO? Consider content titled as- ‘30 mins exercise for weight loss’, internally you also placed a link about another related topic- ‘foods to eat to boost metabolism and lose weight’. Most probably, the reader will be highly tempted to click on the second link as well. You are providing lots of information to readers at the same time making him hooked to your site for a long time. By appropriate internal linking, you could see a considerable amount of decrease in the bounce rate. One must take advantage of your popular post/content to the fullest. One already has the views and traffic, the only task left is to drive the viewers to some low-rank content. Though this does not mean we can connect any two links which have no connection. As mentioned earlier, the tempting and informative internal linking will improve link flow to a great extent and thereby improve the rank. Internal linking helps the writer to strategize and place the ideas, one inside the other. It could also help to structure your content. Readers like information at one place and they want it fast. Suitable internal links provide them ease of use and easy and quick ways to get information. The easier you make the work for the reader the better the chances of them coming back and even recommending the content and site to others. The inclusion of several relevant keywords as anchor text in your content helps Google to analyze the relevance of the content and it helps to distribute the page rank across the site. I feel promotion of anything done subtly has much more impact than doing it aggressively. If we take the earlier example of weight loss article titled as- ‘ 30 minutes exercise to weight loss’, if you put up an internal link about some treadmill or any exercise machine or say any early bird gym membership program, it would definitely be much effective. It is necessary to have a complete layout in mind and know the reason behind all the steps you take, internal linking is helpful but placing it, anywhere may create a jumbled up path and would solve no purpose. The main motive is to distribute the page rank evenly. Hence, it is necessary to have the SEO structure well in place. Question yourself why you are doing certain actions. Think whether users will feel a need to click on the links mentioned. One needs to design a suitable information hierarchy for the content to be catchy.If you look at the e- commerce sites logic, it is very well designed and structured, Categories linked to categories, product to product and categories to the product. The flow of content is very precise. One must take utmost care to link relevant contents. We should not forget that more the ease of use more stable would be the user in terms of staying on the page. While keeping the internal linking and page rank distribution in mind it is also necessary that you are not overdoing it. Just making your readers navigate here and there frequently may make them lose their mind. It is a good practice to keep your content no more than three clicks away. It is necessary to add anchor text, if one looks at a Wikipedia page several anchor texts are inserted. They aim to make the content as informative as possible. One must take care not to insert anything irrelevant; the anchor text must be related closely to the topic and one must check the possibility of it being clicked. Adding it just for the sake of adding is just a waste of time. It is wise to catch the attention of users at the beginning because you never know when he may be drifted. Making the user believe that the content he is reading is full of information at the very beginning will help him stay and read it ahead. There is no point adding too many links at the end when you are not assuring user to stay hooked to it till the end. One can find tools for generating suitable anchor texts for your content, But at times, it often looks unnatural and manufactured. A personal touch of the writer or SEO Professional is much efficient than the tools. Use of it once in often is acceptable but relying completely on it is not a very good habit to have. The first thing user sees makes a lasting impression. Thus, make sure you are inserting enough internal links to give complete information. The ranking and traffic are majorly dependent on how the homepage is linked. This again helps in ease of use. Suppose one has built a job portal , adding navigational links like jobs in California, Jobs in Washington, Jobs in Texas and the like will help users to reach to what they want in an instant. It also makes the content look very neat and categorized. Most important links to your content and the key areas must be focused here. Suppose a person is reading about saving tips, having additional posts like – “best shares to invest in” or “what is mutual fund” will help him know about the similar topics better. It is a basic logic that if a person is reading about something chances are that he or she wants to know about it more. Even if he doesn’t have options in his vision will enhance the user experience or user engagement. Another good example to add is of the e- commerce sites, if you are viewing a dress in pink they would also put up similar dresses one might like. It is an excellent way to keep the user hooked and he will be tempted to browse more. Anything in excess is always harmful; it is necessary to strike the right balance as the more the links the more are the distribution of rank. Consider a hundred points to be distributed among twenty-five in comparison with hundred points distributed among fifty, you will not be happy if you have 50 below average links. Instead, a chunk of very popular content would prove to be much beneficial. It is easier to use that popular links for diverting the traffic juice to the other content with low ratings. If you want to link contents internally, it is necessary to have enough content to link it. Imagine you have only 10- 11 contents and then linking it. It hardly solves any purpose. Isn’t it annoying when you click on a link it does not open in new tab, and when you want to go back to your previous content it’s hard to find or worse not there at all? It’s a small thing to do but is of high importance. Finally, it is suggested to follow up all the strategies and links you have generated, if you are having some strategy it is wise to check and recheck it frequently to know how the audience is responding to it. Apart from the number of advantages, I would like to note that internal links are easy to control and optimize. It is easy to track the traffic and use the popular content for your own use. One must also see that their content and links are also mobile friendly. With the advent of smartphones, the users who view sites and content on their phones has increased considerably. Thus, make sure your links are thumb friendly and do not zoom to click on it. Apart from this one must also see that the content is loading faster, if it takes more than 3-6 seconds to load, then you are bound to lose the users. Thus, we have seen all the points, which are to be taken care of while doing internal linking. Avoiding it is a mistake and overdoing it is a bigger one. Having a balance of external linking and internal linking is also essential. Apart from linking, knowledge of users and quality content is of undeniably of foremost importance, internal linking is just a measure to make it visible and popular. A well thought and suitable strategy aligned with your goals are bound to make your conversion goal reach higher and make the authority and traffic grow manifold.